Design a Mixcloud T-Shirt Competition – The global community for audio culture. Calling all designers: Mixcloud is updating it’s wardrobe, and we’re giving YOU the chance to design the exclusive new tshirts and win prizes! Do you have slick design skills, or a crazy idea for a tshirt design? We’re looking to add some style to the shop so get involved and submit your design to our Flickr group for a chance to win some very nifty prizes. 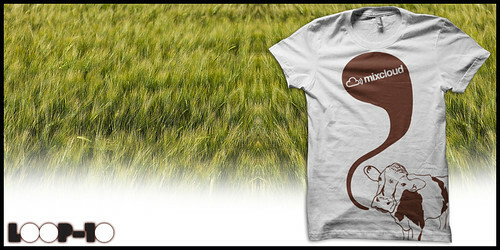 Sign up to Flickr (if you haven’t already) and join the Mixcloud Tshirt Design competition group. Then all you need to do is add your image/photo to the group. You can also get inspiration from what other people have submitted. The only rule is that the Mixcloud “cloud” has to visible in some form on the design.